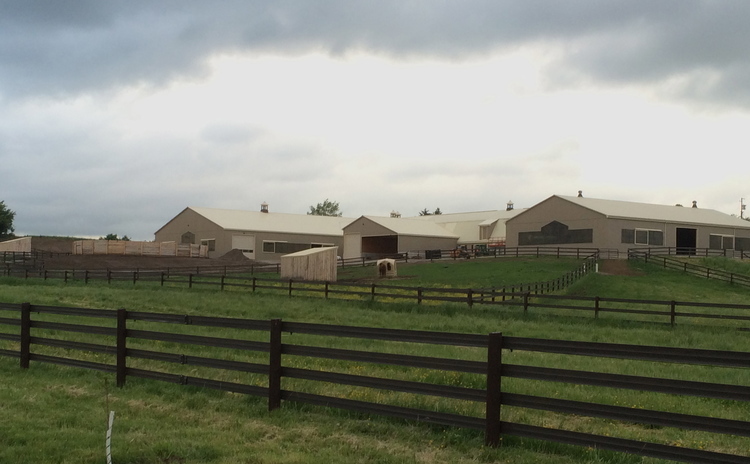 Willow Way Farm has been lovingly owned by a local family since 2015 and we are very pleased that David Cowley has chosen Willow Way as the new Ontario location for Two-Way Trust Horsemanship. David, who will be living on site, will expertly manage the facility, provide training, lessons, clinics and competitions as well as overseeing the care of all the horses at Willow Way. We offer boarding with individualized care for you and your horse while enjoying a training or lesson program with David. The owners of Willow Way Farm have been horse owners and exhibitors for 40 years and continue to breed and show registered American Quarter Horses. At certain times we have a selection of quality show horses and prospects for sale. Please click here to contact us for availability, rates and horses for sale. David Cowley is offering his Two-Way Trust Horsemanship to the public through training and lessons exclusively available at Willow Way Farm. David's unique techniques build a solid, mutually trusting, respectful relationship between you and your equine partner. In so doing, a whole world of possibilities will be open to you! The name “Two-Way Trust Horsemanship” came to David while at the top of the Calgary Tower with his horse (he’s been there 40 times riding 6 different horses!). “I know when my horse is ready by instinct, when I trust my horse as much as he trusts me". There is no way to practice this and no room for failure. It takes a different level of understanding, relationship and trust than conventional horsemanship. David began teaching his approach just a few years ago and is inspired to help people and their horses connect and understand each other on a deeper level. “I started out doing my public appearances as a way to show people what is possible – to demonstrate an advanced horse & human relationship and encourage or inspire others to grow. If I can help people, then I am helping even more horses”. David grew up on the Rafter Six Guest Ranch Resort in Alberta, where he was constantly surrounded by horses and guests from around the world. David was a keen observer of the multitude of horses and people he interacted with daily, the combination of this, along with David’s pure love of the horse and innate ability to connect, is where his horsemanship skills developed. Given his unique and exceptional talent, David rapidly became internationally known and a much sought after clinician. First and only person to ride a horse across a glass-floored walkway and observation platform (Glacier Skywalk in the Canadian Rockies 280 metres (918 ft) above the valley). Riding his horse into the John Wayne Airport in Orange County, California for welcoming and marketing the WestJet inaugural flight. Horse and rider appearances into hotels, shopping and convention centers across Western Canada. Pro Go Round winner at the World Finals in Extreme Cowboy Racing Association 2015.